Orbit Downloader recently announced version 1.3.2, the latest release of the popular all-in-one downloading software, perfect for video clip downloads and downloading files from file sharing services. The easy to use, small program is fast and helps even internet novices easily save the streaming media and flash video clips so popular on the Internet. 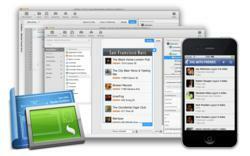 With this new release of the program, developers have made the program a top choice among All in One Downloaders. The first version, Orbit Downloader 1.0.0.1, was released in Oct.2006 with some basic functions. Now the current version, 1.3.2, released in Jan. 2007, makes Orbit Downloader a speedy downloaders, helping users get files from file sharing programs. Internet users the world over agree -- the number of Orbits users has exceeded one million in three months since release. In 2006, Orbit Downloader was named a top 10 program by Baixaki, a popular dowloads database. Orbit Downloader is based on p2p and multi-source downloading technology, which let users download files up to 500% faster than before. Orbit Downloader is written with efficiency in mind, it typically uses less than 3MB of memory and 3% of CPU when downloading. Additionally, the installation package is less than 1.6MB. Orbit Downloader can download Flash video and other video clips, including stuff from sites like Youtube, Google, MySpace, MetaCafe, DailyMotion, etc. It can also help file sharing easier, making downloads from RapidShare.com much faster, safer and more stable. Additionally, Orbit Downloader supports most file-sharing service websites, including Megaupload.com, Badongo.com, Sendspace.com, YourFileHost.com, Uploading.com, FileFront.com, 4shared.com, TurboUpload.com, Depositfiles.com, FileFactory.com, and many more. When users hover on a flash video clip or streaming media file in a webpage, Orbit Downloader displays a small button. Users can easily download the file with a single click. In future releases, the Orbit team will add some new functions, such as Download schedule / Zip preview / Add-on, all in response to user feedback. The enhancements will help make Orbit Downloader the top choice for file sharing programs and video clip downloads. We're driven to constantly make improvements to Orbit Downloader, said Mei Ai, spokesperson for the Orbit Team. 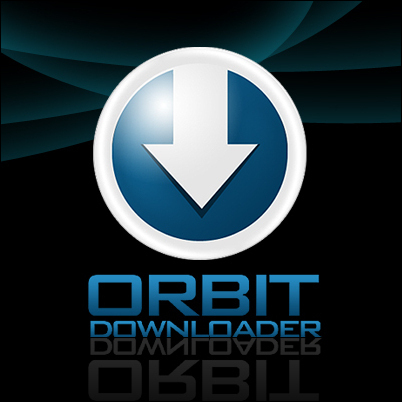 We hope users will find Orbit Downloader a powerful program that meets all their downloading needs. Today, stereoscopic motion picture production and technology leader 21st Century 3D announced two new additions to their lineup of three dimensional digital camera systems. The 3DVX3.5 adds new features, refines ergonomics and redefines the state of the art as the world's smallest and lightest high definition 3D camera-recorder. The 3DVX-H is a modular hyperstereoscopic camera system that allows for stunning photography of distant subjects while maintaining a strong stereoscopic 3D effect. With ordinary camera separation, discernable stereoscopy diminishes as the camera's distance from the subject increases. The 3DVX-H compensates for this by allowing users to increase the interoccular distance to as much as three feet or more. The 3DVX range of cameras puts uncompressed 10 bit 4:4:4 RGB stereoscopic motion picture production into the hands of cinematographers and directors in a way no other camera systems can. The 3DVX3.5 carries over the key capabilities of last year's breakthrough 3DVX3 and adds incredible new features to an overall enhanced package that is even lighter than its predecessor. The 3DVX3.5 weighs in at a trim twenty-two pounds with view finder, drives, mini DV tape and 160Ah Li?Ion battery. In addition to uncompressed direct to disk recording, the 3DVX3.5 can now record two channels of 16 bit 48khz uncompressed audio and monoscopic NTSC DV video via the built in miniDV VTR. Two balanced XLR connectors allow standard audio or timecode input. The 3DVX3.5 is suitable for a wide range of production applications including motion picture, ride films, themed attractions, music video, documentary, promotional, corporate or live events. The all-new NTSC recording capability allows for immediate on set playback without the need to process RAW camera data. A completely redesigned focus system improves tactile response and offers compatibility with professional follow focus systems, long whips and other accessories. White balance, gain and high-speed shutter controls have now been linked and are operated by individual independent controls for improved accuracy and ease of use. The 3DVX3.5 allows focus, iris and zoom to be controlled by wired electronic remote, opening the door to a host of new and exciting applications. Operation on cranes, booms, jibs and steadicams is now afforded an added degree of convenience. Operators retain full control at a distance of up to forty feet. A newly integrated high resolution 3.5" LCD display offers substantially improved resolution and provides expanded monitoring options. The new camera system is based on DVX100B cameras and Intel CPU Mac Minis running the latest version of Mac OS X. The 3DVX3.5 sports over 3.2ghz of processing power and 4GB of RAM. Body mounted removable 100GB hard drives allow for record times of up to one hour before a drive change is required. The 3DVX-H hyperstereoscopic camera system offers the same uncompressed recording technology as the 3DVX3.5. The 3DVX-H adds the capability to vary interocular distance, accommodating a broad range of shooting conditions. The separation between lenses can vary from 5.5 inches to 34 inches or more allowing for photography of extremely distant subjects. Normal stereoscopic cameras begin to lose their 3D effect as the distance to the subject increases beyond several hundred feet. With the 3DVX-H, cinematographers now have the ability to precisely tailor their interoccular separation to suit the needs of specialized subjects. The system features a lightweight, counterbalanced mechanism that has been custom designed to integrate directly with industry leading helicopter mounts from Tyler Camera Systems and is ideally suited to aerial cinematography and other unique applications. 21st Century 3D also announced the ultimate compliment to its range of innovative 3D camera systems, the world's first completely solid state uncompressed stereoscopic video recorder. Foregoing moving parts altogether, the 3D-SSR is a solid state stereoscopic recorder that directly interfaces with the 3DVX3, 3DVX3.5 or 3DVX-H. The 3D-SSR captures up to 24 minutes of full bandwidth, uncompressed 1280x720 stereoscopic video at 24 FPS per eye, in 10 bit RGB 4:4:4 color space. Harsh environments including racing vehicles, helicopters and airplanes are not ideal situations for hard disk recording. Vibration and shock can cause hard disk write errors and degrade performance, preventing the drives from keeping up with the over 58MB/sec sustained data rate required by the 3DVX camera systems. A compact array of high performance NAND memory powers the 3D-SSR and is impervious to such disturbances. The 3D-SSR can even extend operating times as compared to traditional bus powered hard drive storage when used with Anton/Bauer Dionic 160 batteries. According to 21st Century 3D CEO Jason Goodman, "We are extremely excited about the 3DVX3.5, the 3DVX-H and the 3D-SSR. They not only represent huge steps forward for the world of stereoscopic cinematography, they demonstrate 21st Century 3D's ongoing commitment to 3D production and technology. We are constantly refining and improving our tools and capabilities. The 3D-SSR allows us to finally realize the dream of direct to solid-state recording and eliminates the most problematic aspects of hard disk based cameras. This was an early design goal for 3DVX cameras but has proven elusive until now." 3DVX cameras are not offered for Sale. For worldwide hire or to arrange a screening contact 21st Century 3D. The Support Station comes in standard configurations, but also can be modified for customers with specific needs. All configurations include a CPU and integrated LCD display that provides the interface for all operations, plus a terminal control panel, DC terminal power, cooling equipment, voice interface panel, and all interconnect cables. "An integrated system that combines our test and support equipment is something that a lot of our customers have been requesting," said Paul Baca, ViaSat VP of Tactical Data Links. "This is the same equipment we use to evaluate the performance of our production units, so there is a lot of capability built into it." For more information on the MIDS Support Station contact Jansen Buckner at 760-795-6334, or email jansen.buckner@viasat.com. ViaSat produces innovative satellite and other communication products that enable fast, secure, and efficient communications to any location. The Company provides networking products and managed network services for enterprise IP applications; is a key supplier of network-centric military communications and encryption technologies to the U.S. government; and is the primary technology partner for gateway and customer-premises equipment for consumer and mobile satellite broadband services. The company's three wholly owned subsidiaries, US Monolithics, Efficient Channel Coding, and Enerdyne Technologies Inc., design and produce complementary products such as monolithic microwave integrated circuits, DVB-S2 satellite communication components, and video data link systems. ViaSat has locations in Carlsbad, CA, and Duluth, GA, along with its Comsat Laboratories division in Germantown, MD. Additional field offices are located in Boston, MA, Baltimore, MD, Washington DC, Australia, China, India, Italy, and Spain. Portions of this release, particularly statements about the performance and deliveries of ViaSat products and technology, may contain forward-looking statements regarding future events and are subject to risks and uncertainties. ViaSat wishes to caution you that there are some factors that could cause actual results to differ materially, including but not limited to: contractual problems, product defects, manufacturing issues or delays, regulatory issues, technologies not being developed according to anticipated schedules, or that do not perform according to expectations; and increased competition and other factors affecting the telecommunications industry generally. The Company refers you to the documents it files from time to time with the Securities and Exchange Commission, specifically the section titled Risk Factors in the Company's Form 10-K, which contain and identify other important factors that could cause actual results to differ materially from those contained in our projections or forward-looking statements. Stockholders and other readers are cautioned not to place undue reliance on these forward-looking statements, which speak only as of the date on which they are made. We undertake no obligation to update publicly or revise any forward-looking statements. Comsat Labs and Comsat Laboratories are tradenames of ViaSat, Inc. Neither Comsat Labs nor Comsat Laboratories is affiliated with COMSAT Corporation. "Comsat" is a registered trademark of COMSAT Corporation. All additional products are trademarks of their respective owners. DonorCommunity, Inc., developers of the leading cloud computing software platform for nonprofit fundraising and advocacy, announced today that the Essilor Vision Foundation of Dallas has become the latest nonprofit organization to join its community of clients. As a DonorCommunity subscriber, Essilor receives unlimited access to DonorCommunitys comprehensive suite of Software as a Service (SaaS) applications for CRM, Online Marketing, Online Donations, Online Auctions, Event Management, Social Networking, Personal Fundraising and Website Content Management. The DonorCommunity platform is offered on an annual subscription basis that also includes free Website hosting and unlimited training and support. DonorCommunity is enabling us to dramatically expand the reach of our ongoing initiatives to eliminate poor vision and its lifelong consequences, said Stephen Shawler, Essilor Vision Foundation President. DonorCommunitys first goal was to provide us with a new Website thats easy to update and offers a better look and feel. As promised, our new site was online in just ten days. Weve also been using DonorCommunitys Event Manager to promote and sell sponsorships to our 2012 Charity Golf Classic events. The entire process has been automated and streamlined. DonorCommunity is also providing Essilor with the essential capabilities it needs to secure new supporters and educate the public. The results have been exceptional, said Shawler. Were not only finding new supporters, were also gaining new insights that enable us to cultivate these relationships in a much more personal and productive way. DonorCommunity and its products have far exceeded our expectations. The Essilor Vision Foundation is an exemplary corporate citizen, providing children with free screenings and eye exams, and helping to educate parents, teachers, and the general public about the critical role good vision plays in literacy, education, society, community safety and the economy, said David Blyer, DonorCommunity founder and CEO. When we help organizations like the Essilor Foundation become more successful in pursuing their goals, everyone benefits. Were proud to welcome them to our community. Essilor Vision Foundation provides vision services such as, eye exams, eyeglasses, and vision screenings to children with the greatest need in local communities. We are a 501 (c)(3) public charity organized with a mission to "eliminate poor vision and its lifelong consequences." For more information, visit http://www.essilorvisionfoundation.org. Please "Like" us on Facebook at http://www.facebook.com/EVFTeam. DonorCommunity, Inc. is a cloud computing Software as a Service firm that helps nonprofit organizations cultivate donors, forge closer relationships with stakeholders, engage their communities and raise funds year-round. 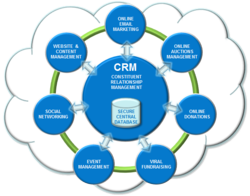 DonorCommunity offers a suite of fully-integrated Web applications for constituent relationship management, online auctions, online marketing, online donations, event management, personal fundraising, social networking and Web content management. The entire platform is furnished on a fixed-fee, annual subscription basis that includes unlimited users, unlimited records, unlimited training, unlimited support as well as free Website hosting. For more information, visit http://www.DonorCommunity.com. MobileAppWizard.com has recently announced some exciting news for mobile app developers- a contest for the best-in-class mobile app by category (restaurant, real estate, sports and non-profit). This best app builder contest is being launched in recognition of MobileAppWizard.coms recent achievement; being recognized as the webs fastest growing Android app publisher, with over 10,000 mobile Android apps created within just 2 short months. MobileAppWizard.coms mobile app contest runs through May 15th. One best-in-class winner will be awarded for Best Restaurant App, Best Bar App, Best Real Estate App, Best Sports Fan App, and Best Salon App. Category winners will each receive a brand new iPad! So; how can mobile app designers increase their odds of winning within their respective category? Simple; utilize ALL of the features offered via MobileAppWizard.coms free app builder platform. Incorporating available free app builder features will increase the apps overall usability, which after all, is what end-users are looking for. As yearbook advisors finish up their yearbooks this spring, a commonly asked question is: What do I do now? Wrapping up the year with these five easy projects will ensure the success of this year's yearbook, and a head start on the next! 1. Finish up strong: Put as much effort into your yearbook distribution as you spent on making the actual yearbook. Making sure that the yearbooks] get into the hands of the students and staff as quickly and efficiently as possible will not only mean less headaches for you, but will also ensure that the school staff and administrators will continue to support the project in the future. Some ideas for a seamless yearbook distribution include: making a master list of yearbook orders, and educating the staff and students on how books will be distributed. 2. Make your book a BIG deal: You slaved away on it for months, now is your time to let it shine! Plan some events to showcase the yearbook at the end of the year: organize a yearbook-signing party at the school or unveil the final book at a pep rally. "Getting the students excited about their books will help boost yearbook sales, and help to continue the growth of the yearbook tradition at your school, " said Jennifer Richard, yearbook Account Manager at Entourage Yearbooks. "In schools that really promote their yearbook, we see yearly growth in both the number of books sold, and the number of students that want to participate in creating the yearbook." 3. Evaluate your yearbook experience: Take some time to reflect on how the whole yearbook process went this year. What were you most happy with? What would you most want to change? Meet with your yearbook staff and ask them the same questions. Do an internal "judging" of your yearbook itself to pinpoint areas where you would like to improve the publication in the following year. Keep track of these assessments as you begin to plan for next year. 4. Save your book for the future: A lot of work went into making your yearbook, make sure you keep the parts that you can easily reuse for next year. Back-up all of your files so that you have access to yearbook templates, style guides, and your yearbook ladder. Often, you can transfer the majority of your yearbook ladder over from year to year. Templates can be quickly modified to reflect a new style and theme while preserving the integrity of classic yearbook design. Save some pictures as well. If you snapped a great shot of a teacher who is notorious for skipping picture day, save it! "Many yearbook companies will provide storage for yearbook templates and photos year over year," adds Richard. 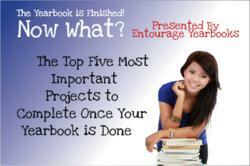 "Entourage Yearbooks, as well as Jostens and Balfour, will transfer project elements from one year to the next." 5. Get a head start: Spend the rest of the school year and the summer working with your yearbook staff to set up the next book. A great exercise is to have all of your staff members create a theme packet, including a theme idea, opening pages, a divider template, theme-related graphic elements, a cover design, spin-off words and phrases that relate to the theme, and a style guide. Work in groups or as individuals to create several different theme packets, present them to the whole staff, and decide on one theme, or a combination of several to become your next yearbook! Entourage is the fastest growing yearbook company in the United States. They work with schools nationwide and provide yearbooks to every continent. To learn more about finalizing your yearbook project and yearbook distribution visit the Entourage Yearbooks website at http://www.entourageyearbooks.com. Sencha, the leading provider of HTML5 frameworks and tools for desktop and mobile application developers, has announced the immediate availability of Sencha Architect 2, a major upgrade of Ext Designer. Sencha Architect 2 is a visual application builder that makes it easy for development teams to access and unlock the potential of the Sencha HTML5 Platform. Sencha Architect 2 builds on the companys innovative HTML5 layout tool, Ext Designer, expanding its capabilities to offer a comprehensive application design environment for building desktop and mobile Web applications. UpWord Studios (http://www.upwordstudios.org) launched today as a 501(c)(3) charitable organization that supports and funds the creation of Catholic new media, bringing enhanced access to historical materials and enabling new digital content. UpWord Studios works with Catholic publishers, church organizations, and ministers to utilize todays technology in sharing the Catholic faith. The organization helps fund and create Catholic digital media projects in the areas of catechesis, evangelization, prayer, and community, with the goal of helping to define, preserve, and promote Catholic identity. We as the Catholic community need to take every advantage to evangelize and share the Good News. And there is no greater opportunity available to us right now than effectively utilize digital media, Internet and mobile technologies to share Gods message, said Diane Lampitt, a longtime leader in Catholic publishing and UpWord Studios Board member. Among todays increasingly tech-savvy population are seekers who are desperately trying to find deeper meaning in their lives. UpWord Studios strives to reveal this spiritual dimension through digital new media, where people are spending a great deal of time. The message stays the same its the format and channel of communication that change, said Fred Fosnacht, founder of UpWord Studios. UpWord Studios inaugural project, The Rosary multi-touch ebook, is now available on the iTunes store. Designed as a both a multimedia book and a teaching aid on the iPad, the multi-touch ebook brings together video, animation, images and audio to create a compelling learning experience. Grant applications can be downloaded from http://www.upwordstudios.org/apply-for-grants. UpWord Studios is also seeking support from Catholic benefactors who can make donations securely online at http://www.upwordstudios.org. These donations provide critical support for development work of projects in the pipeline. UpWord Studios, a 501(c)(3) charitable organization, is a new media development house that supports and funds the creation of Catholic new media, bringing enhanced access to existing materials and enabling new digital content. The organization provides new media services and financial support to promote effective, innovative communication vehicles for the Gospel message. As a non-profit organization, UpWord Studios supports many important Catholic ministries, including youth, young adult, RCIA, RCIC, marriage and family, and many more. Visit us at http://www.upwordstudios.org. Managing a facility portfolio can be a complex job requiring a wide range of skill sets. Although the exact duties may vary from organization to organization, portfolio managers across industries face some common challenges. Efforts to keep abreast of the work that inundates a typical facility managers schedule often leaves little time to proactively plan. Consequently, many facility managers run the risk of missing opportunities to improve efficiency and have a little more time to tackle that backlog of work. A few of these dangers are: failing to institutionalize knowledge of key personnel, leaving valuable information trapped in silos and ignoring the benefits of moving to the Cloud. Caught up in the day-to-day, it may be easy to overlook the criticality of undocumented information. Employees who have been with an organization for several years and are solely responsible for certain subject or physical areas sometimes function as walking databases. This wealth of knowledge can be a great asset and help things to run smoothly but what happens when they leave? Facility managers can be left reeling when these employees retire, quit or change job positions. Documenting important facility information needs to be a priority to ensure operational continuity regardless of staffing. However, it is important to keep in mind that, realistically, information will only ever be documented if a process is clearly defined and simple to use. Another opportunity that some organizations are in danger of missing is leaving valuable information segmented by department, system or process procedure. The capital facilities industry has seen $ 15.8 billion in annual interoperability costs, most of which are incurred as operations and maintenance costs, due to such factors as disintegration and redundancy. Facilities managers that find ways to share relevant facilities information across organizational levels stand to reap significant efficiency benefits and cost savings. Lastly, many facility managers make the mistake of failing to realize the advantages of moving to the Cloud. When a new technology provides the promise of massive cost savings combined with increased IT agility as described by the U.S. Department of Commerces National Institute of Standards and Technology, it warrants serious consideration. When it comes to the more mature element of Cloud computing, Software as a Service (SaaS), the payoff is well-established. Forrester Research shows a ROI for SaaS implementations with both short-term and long-term cost savings, as well as increased adoption rates, reduced time to value, decreased training costs and time and high scalability. 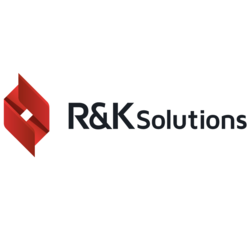 Founded in 1984, R&K Solutions' professionals have been delivering quality software, services and integrated solutions to overcome the challenges of facilities portfolio management, such as capital investment, condition assessment, space utilization, master planning and cost analysis for 28 years. Brainwave Optimization is a non-invasive method of achieving brain balance. Improving brain balance has shown to help many challenges; insomnia is the first to have been evaluated by a third party through a randomized clinical trial. Brain State Technologies is creating awareness with sleep doctors and sleep clinics/labs, helping to identify a drug-free option for their patients and create an additional revenue stream from Brainwave Optimization services. Brain State Technologies executives will be at booth #A5 on June 11-13 demonstrating Brainwave Optimization for the purpose of licensing the technology to sleep professionals. Licensed technology consist of both software and hardware, including proprietary sensors, an amplifier and multiple software platforms that when loaded on a laptop can fit easily in a carry-on brief case. Charles H. Tegeler, M.D., professor of neurology at Wake Forest Baptist Medical Center and principal investigator of a clinical trial on the technology, will be presenting the results in a poster presentation entitled A New Method of Dynamic, Relational, Electroencephalic Auditory Feedback for Primary Insomnia. Tegelers presentation (abstract #649, Poster Board #171) will take place on Monday, June 11 from 4-5pm EDT at the John B. Hynes Veterans Memorial Convention Center in Boston, Massachusetts. There are currently almost 200 locations in 18 countries offering Brainwave Optimization services. Providers worldwide include doctors, psychologists, rehabilitation centers, acupuncturists, chiropractors, massage therapists, dentists, life coaches, naturopathic practitioners, and holistic healers. The conference marks the 26th Annual Meeting of the Associated Professional Sleep Societies (APSS), a joint venture between the American Academy of Sleep and the Sleep Research Society, and is the only five-day meeting in the nation with scientific sessions and an exhibition hall focused solely on sleep medicine. More than 5,000 sleep center owners, seasoned clinicians, and research professionals from around the world will be in attendance. Many clinical studies have proven sleep challenges and deprivation can have devastating effects on a persons health and overall well-being, says Lee Gerdes, Founder and CEO of Brain State Technologies. We are excited to demonstrate the effectiveness of Brainwave Optimization and make it available for the millions of people it can help. MEDIA NOTE: If you would like more information about Brain State Technologies or Brainwave Optimization, please contact Jonathan Bonghi at 480-588-6840 or send an email to pr(at)brainstatetech(dot)com. 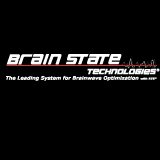 About Brain State Technologies (http://www.brainstatetech.com): Brain State Technologies is the worlds leading provider of brainwave balancing technology Brainwave Optimization. Started in 2001 and developed by Lee Gerdes, the modality combines the latest advances in neuroscience, neuroplasticity, computer technology, mathematics and physics. Brainwave Optimization offers a non-invasive way for people of all ages to overcome cognitive, emotional, and physical challenges and enhance overall performance and well-being. With over 50,000 clients and more than 200 affiliated centers in 18 countries, the company is growing by licensing Brainwave Optimization to providers worldwide. Brainwave Optimization with RTB is not intended to treat, cure, heal or diagnose any disease, mental illness or symptom. Brainwave Optimization with RTB is intended to balance and harmonize brainwaves. Individual results may vary.